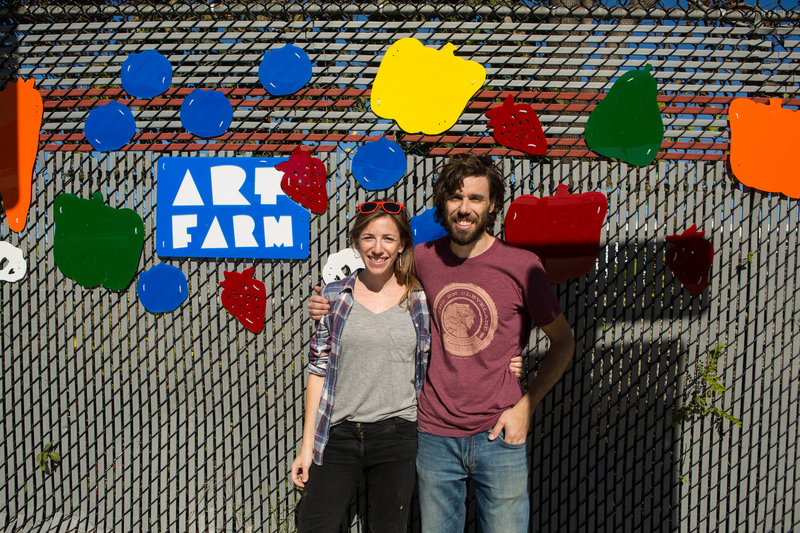 Art Farm Fence is semi-permanent fence decorations; a collaboration between Andrew Ringler and Alyssa Ringler. 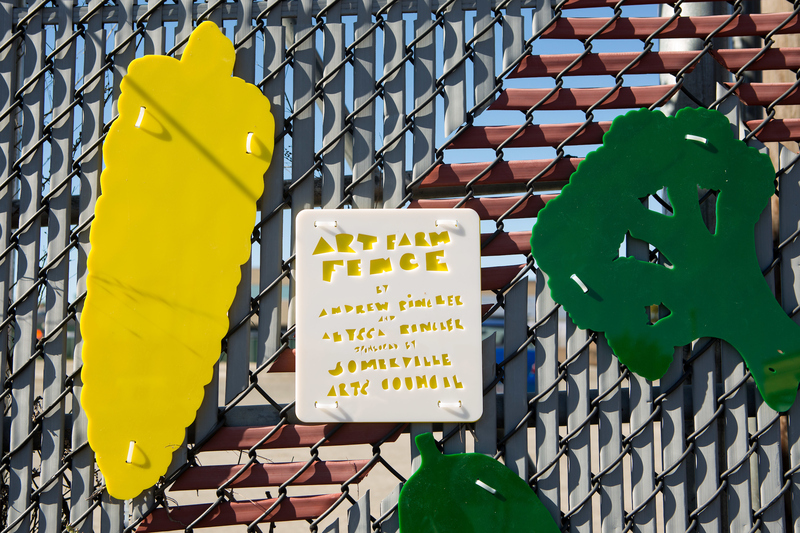 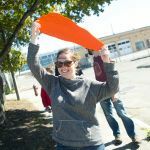 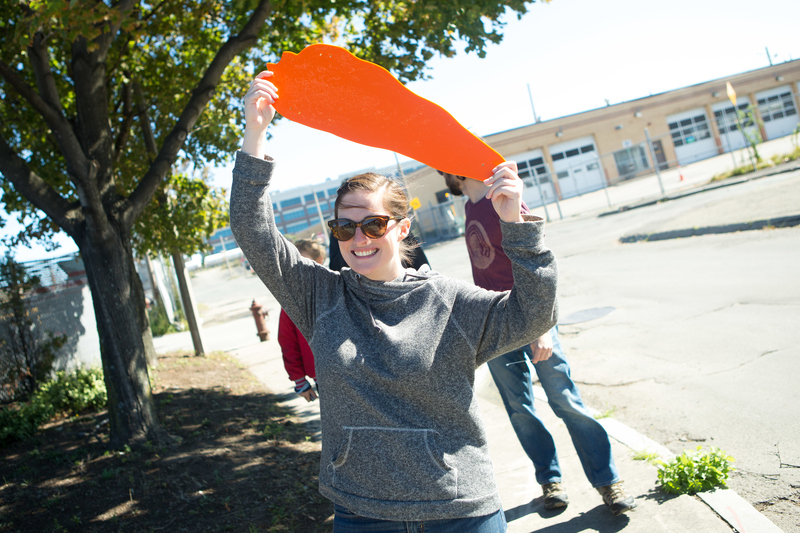 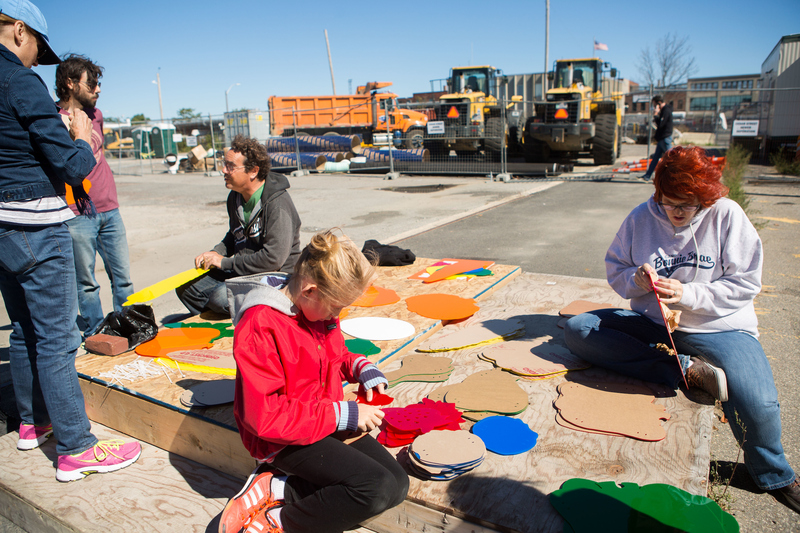 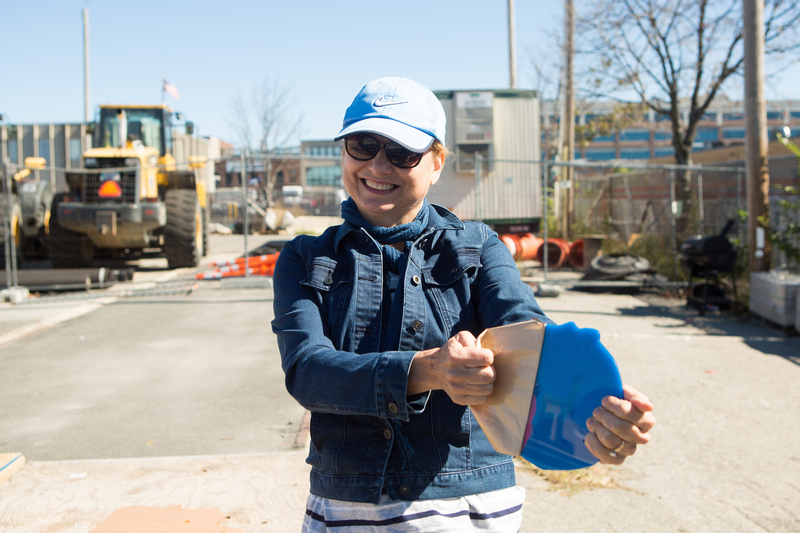 The project was created in response to an open call for art from the Somerville Arts Council. 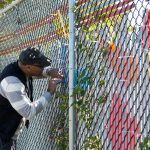 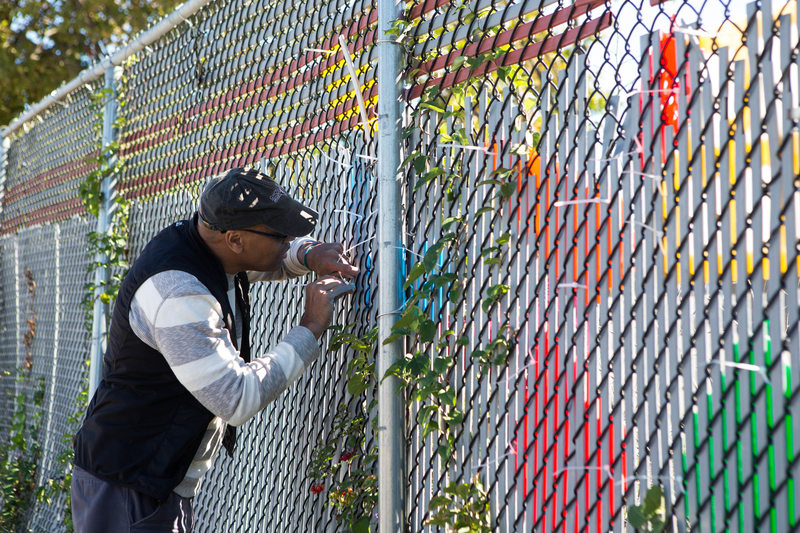 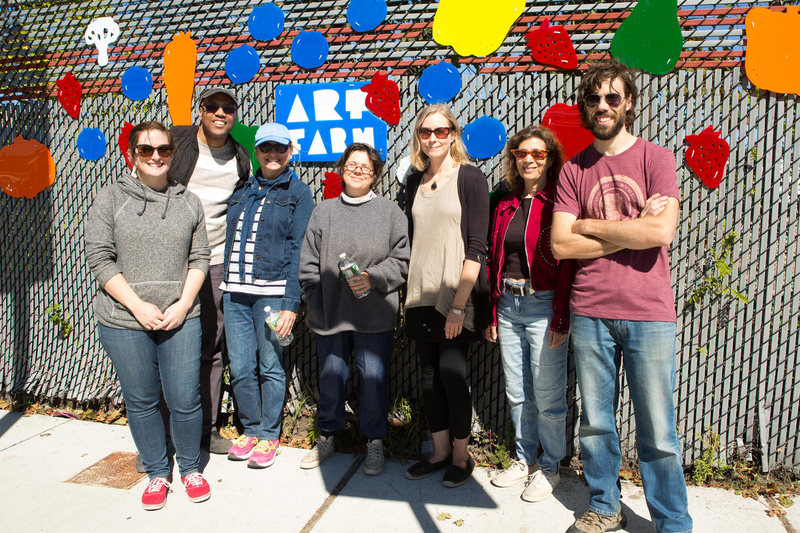 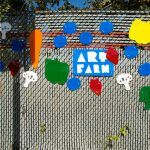 The Arts Council wanted work installed on the fence that encloses the future site of the Somerville ArtFarm. 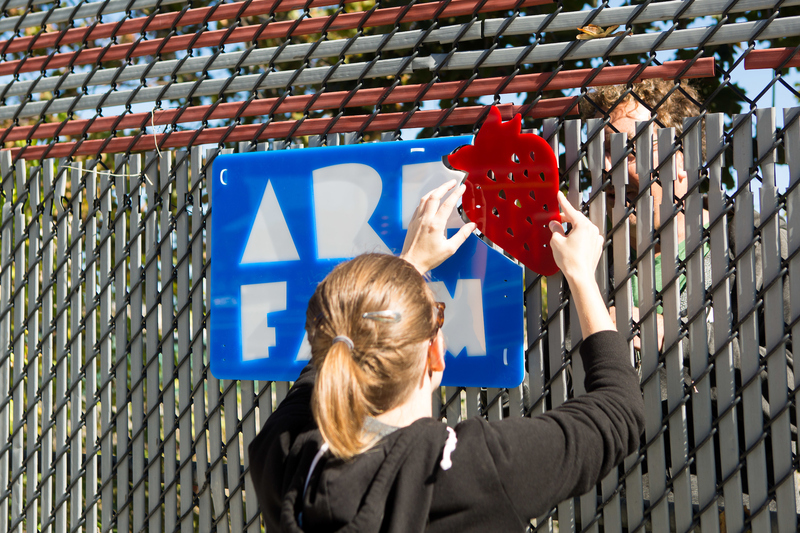 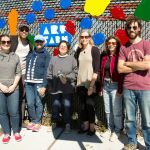 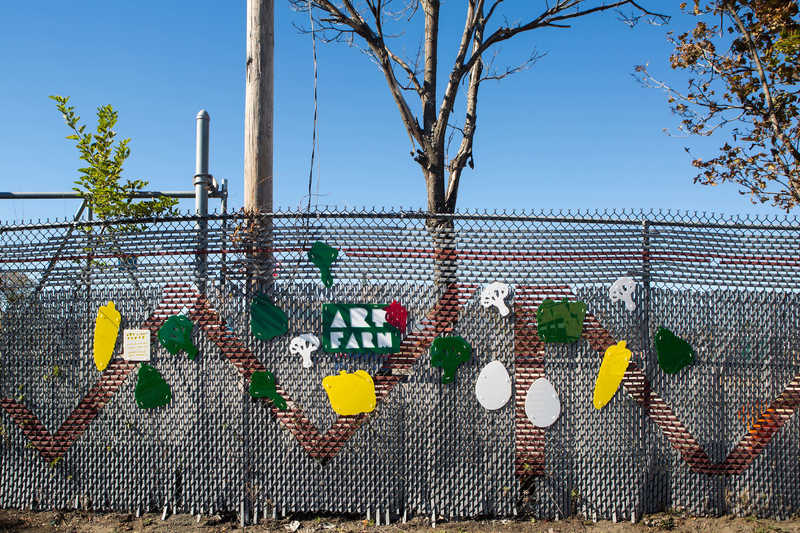 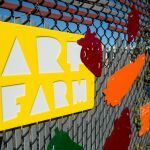 Art Farm Fence embraces the concept of an urban farm. 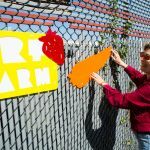 The idea of an urban farm is the mixing of the human-built city, with that of farming, nature and food. 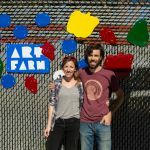 We decided to laser cut fruits and vegetables out of Plexiglass because it embraces this contrast: that of the manufactured plastic with that of fruits and vegetables. 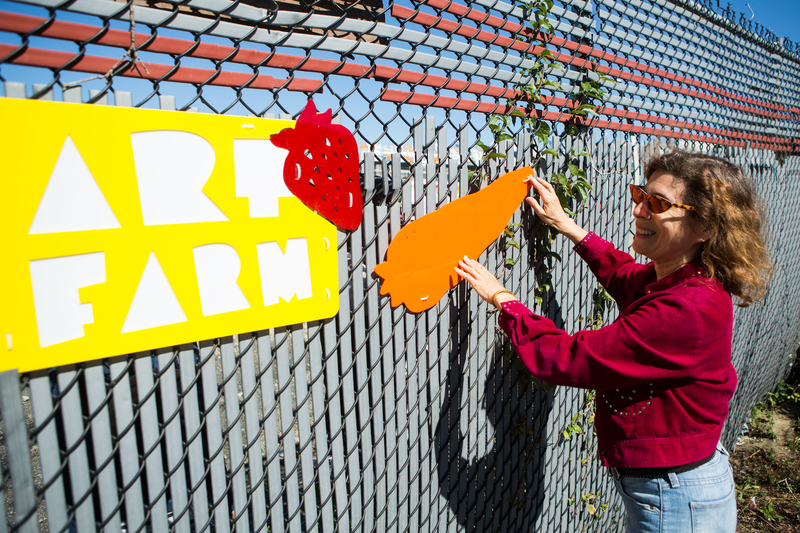 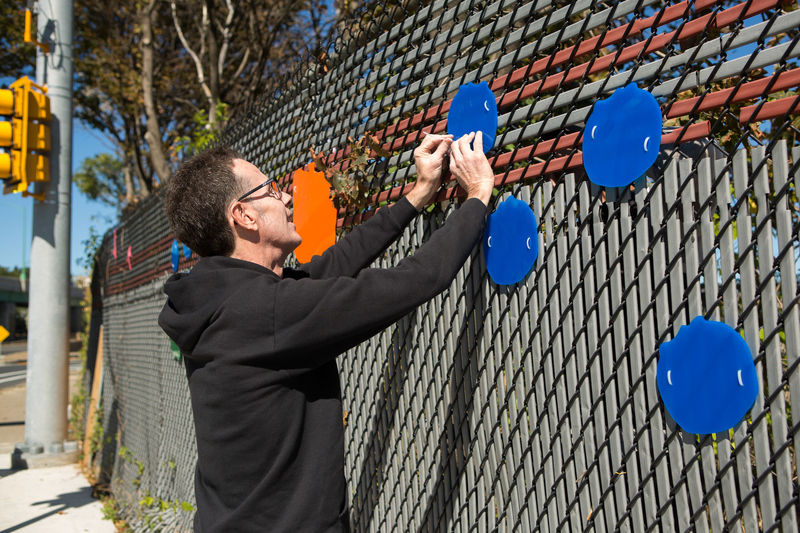 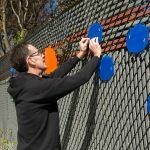 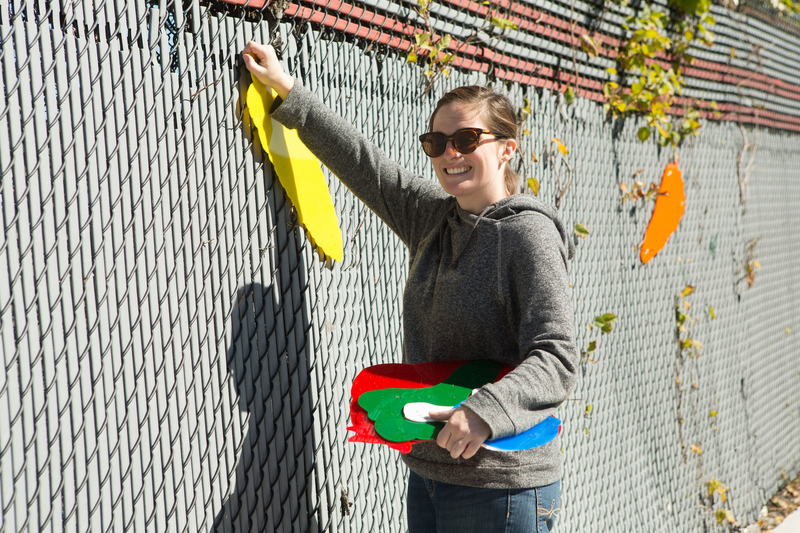 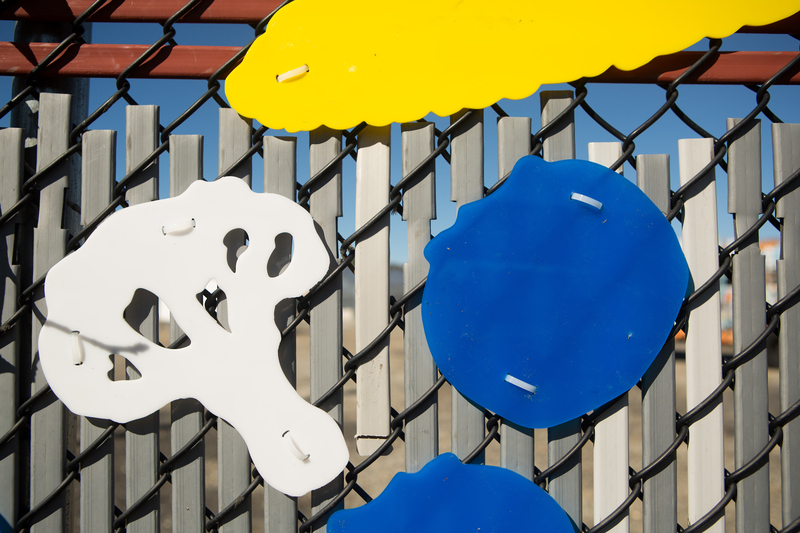 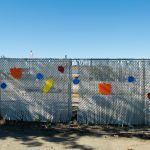 We installed over one hundred over-sized Plexiglass fruits and vegetables on the fence surrounding the farm. 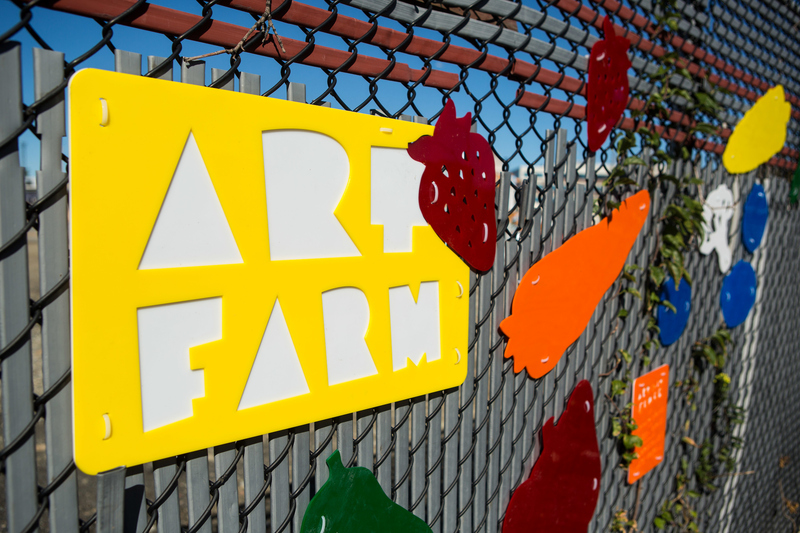 We also installed large Art Farm signs and informational plaques at four locations surrounding the space. 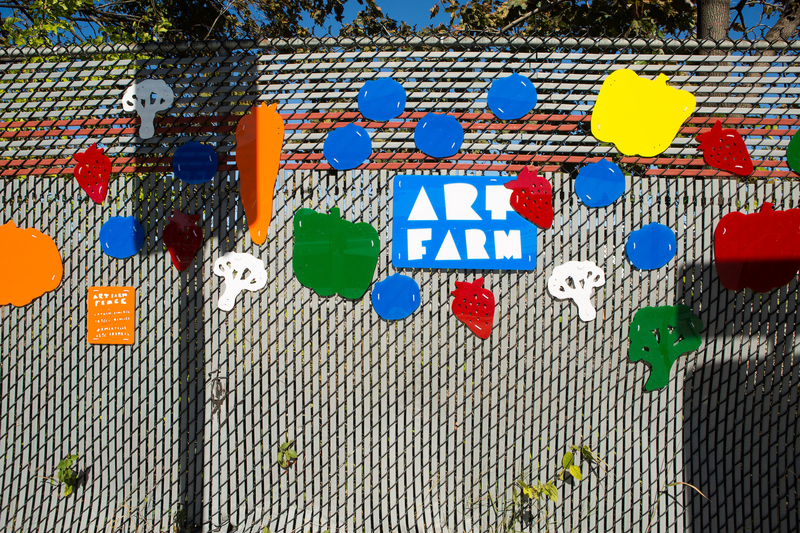 Plexiglass comes in many colors, so we were able to create a diversity of fruit and vegetables. 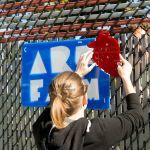 Plexiglass was purchased locally from J Freeman, Andrew did all of the digital prep-work and laser cutting. 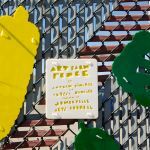 Alyssa worked from her home in New York City doing the majority of the illustrative work and design of the fruits, vegetables and signage. 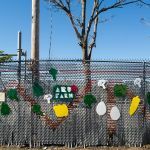 We included a selection of highly recognizable locally grown fruits and vegetables: blueberries, bok choy, broccoli, carrots, cauliflower, corn, green/orange/red/yellow bell peppers, pears, pumpkins and strawberries. 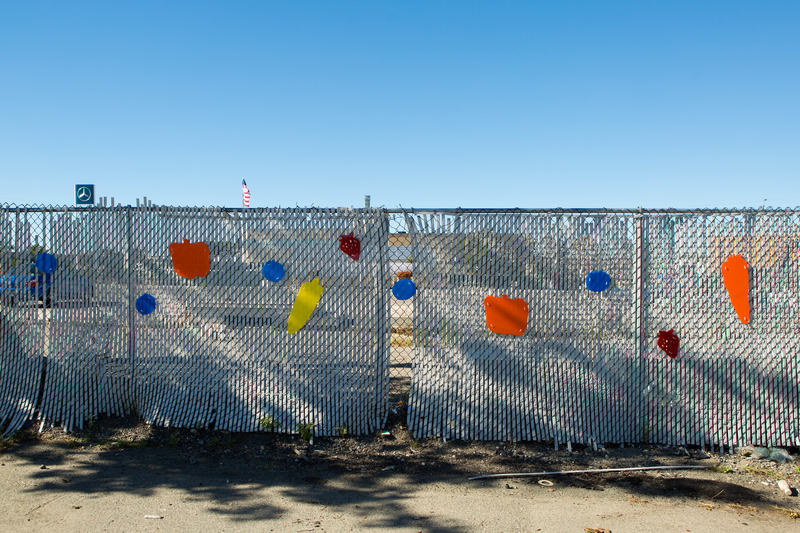 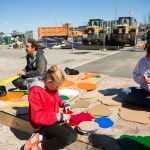 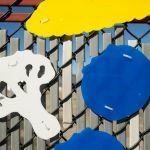 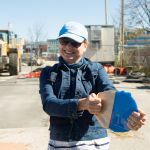 Some inspirations for the project were Beth Galston’s Color Walk (Arizona installation by a Somerville artist) and Claudia Ravaschiere and Michael Moss’s Shimmer currently installed on the Congress St. Bridge in Boston.